Wohooo! I'm back from my awesome vacation, back to work, and back into the blogging world. Indeed I missed all of you! I wish I could take you with me and experience all the fun stuff that me and my family enjoyed. It was truly a very fun vacation, relaxing, and just feel great being with my beloved family. 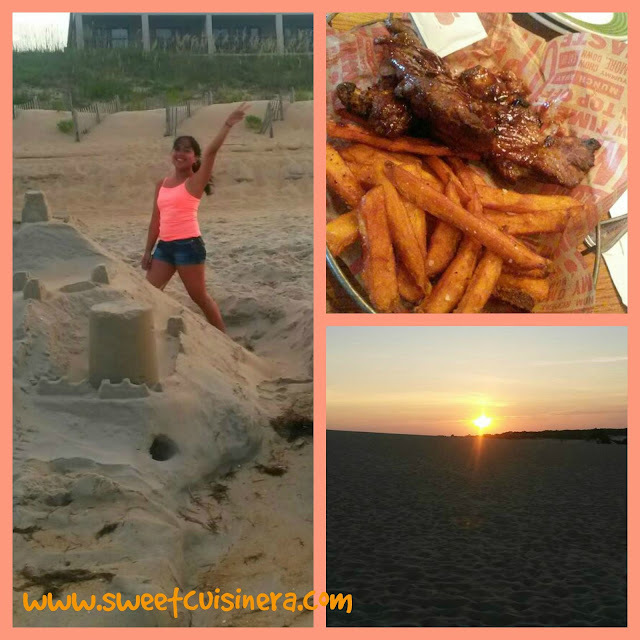 We went to Outerbanks, North Carolina. Yes! 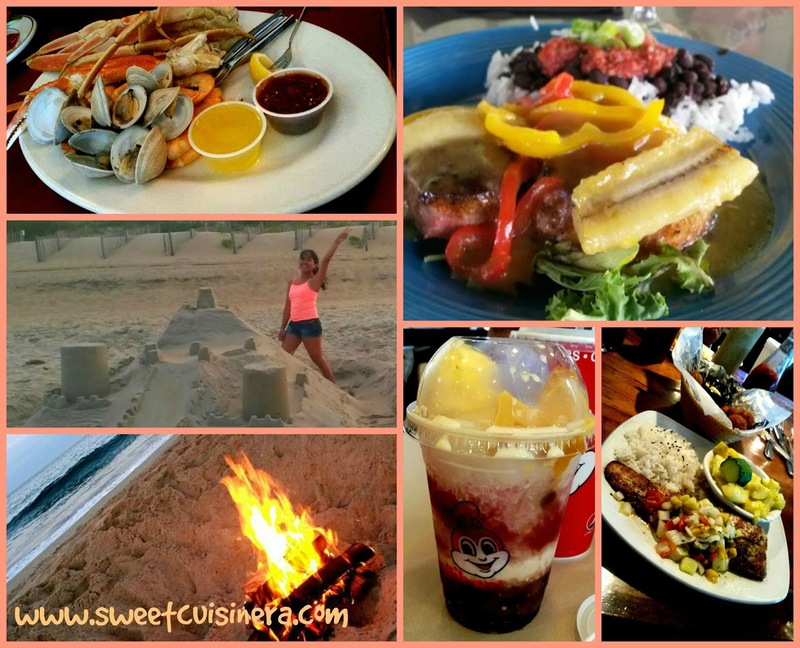 As you may remembered my first blog post about my Outerbanks experience back in 2013 and then followed by Outerbanks escapade in 2014. We all hit the beach with full BLAST and EXCITEMENT! when I say (WE I meant all 16 of us that includes the adult and the kids) and to make this vacation super fun and exciting! 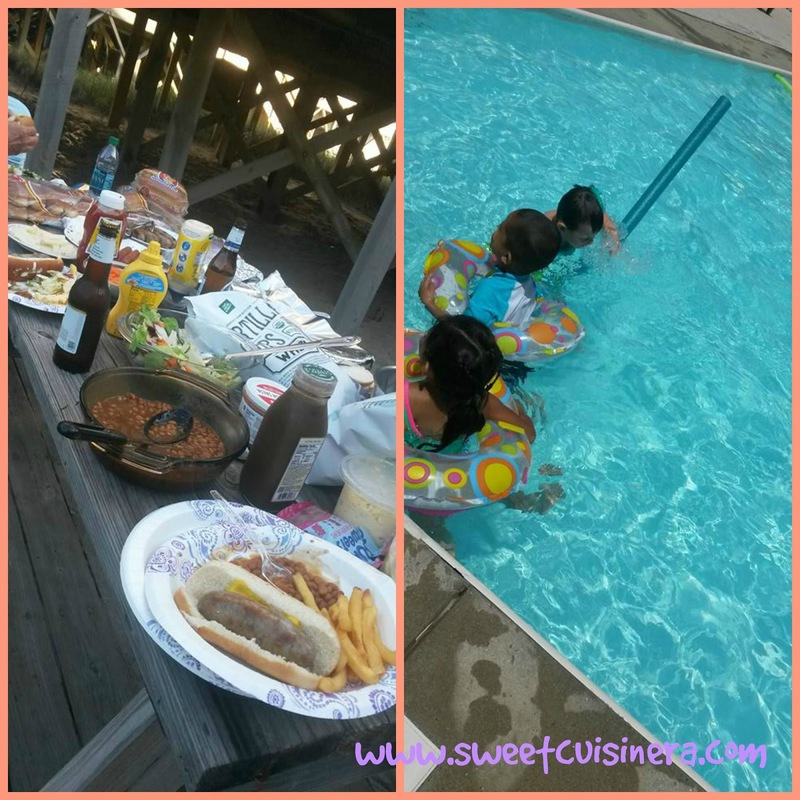 We had fun Outdoor Cookout. It was DELICIOUS! We had brats, burger, hotdog, beans, chips, and all tasty food. Yum! After spending time in the pool and on the beach. We had delicious dinner at Miller's Seafood and Steakhouse in celebration of Granny Helen Birthday. The ambiance of the place was inviting and relaxing. 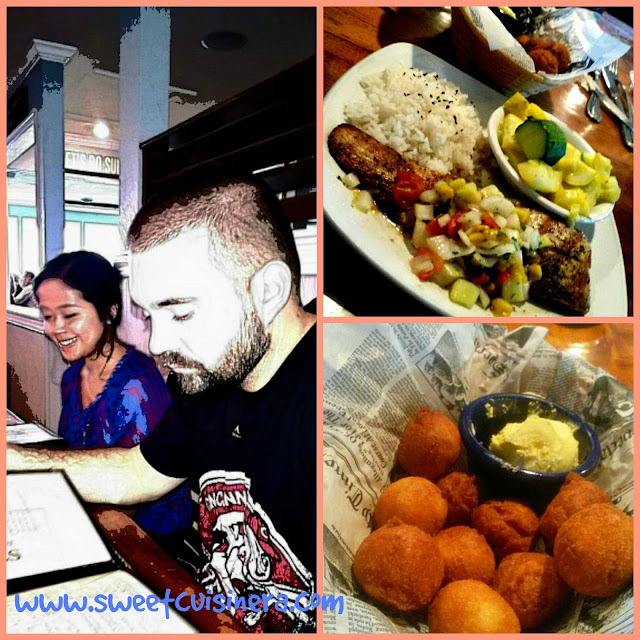 The food is EXCELLENT- they served us with hush puppies as we waited for our order. I had Grilled Mahi-Mahi with tropical salsa, rice and steamed vegetables. It was delicious and impressive food. We head home to finished off the celebration. We had strawberry cake and ice cream for dessert. This is the DAY were we spent our time with our family. So Me, hubby, Reese and the kids head out to have dinner at Applebees. I ordered baby back rib with sweet fries on the side, which is by the way delicious. Then, we went to shopped for souvenirs and had long sweet walked on the beach (holding hands! char!) and watched the sunset. Awesome! We had fantastic dinner that includes meatloaf, baked macaroni and cheese, chicken, and corn prepared by Mom Cheri, Emma, Abbey and Reese. It super TASTY! and had amazing Bonfire and Smore's experience at the beach. We sang, talked and had fun with sparkles. It feels great to hear the waves splashed and smiles on everyone's faces. Amazing! In celebration of Quinn's birthday. We all went to see Dolphins and YES! I saw Dolphins up close. It was very exciting moment and unforgettable. The whole Dolphin Tour experience is phenomenal. Then- we had dinner at this restaurant (which I totally forgot the name) I had Caribbean Tuna with rice and beans on the side, and Mango Colada for drink to compliment my super tasty dinner. We continue the party at my sister-in-law's place and had cake and ice cream. Yum! Before heading back in Ohio we had an awesome seafood adventure . As you all know me, I'm such a huge seafood fan! We went to TAPHOUSE and I ordered Seafood Platter which compose of steamed crab legs, shrimp and clamps. Yum! 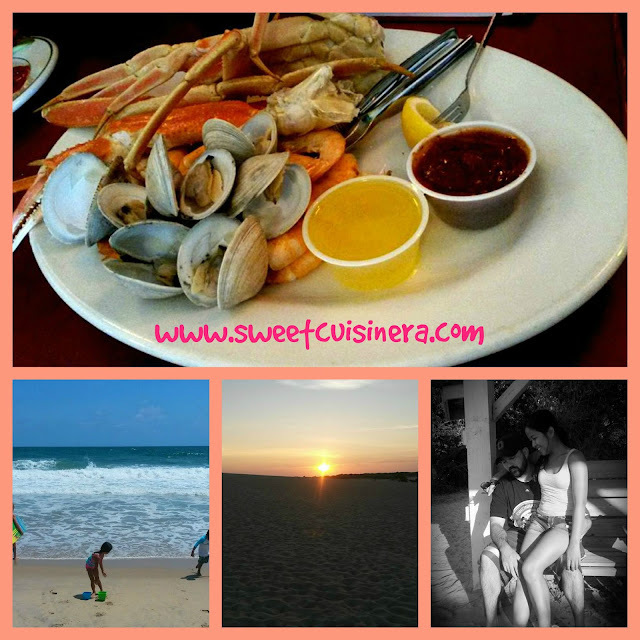 It's like Seafood galore adventure- so GOOD! Then, we went out to experience the giant sand dune at Jockey's Ridge Park. Loved seeing my kids, nephews, nieces and in-laws enjoying the sunset and the scenic view. 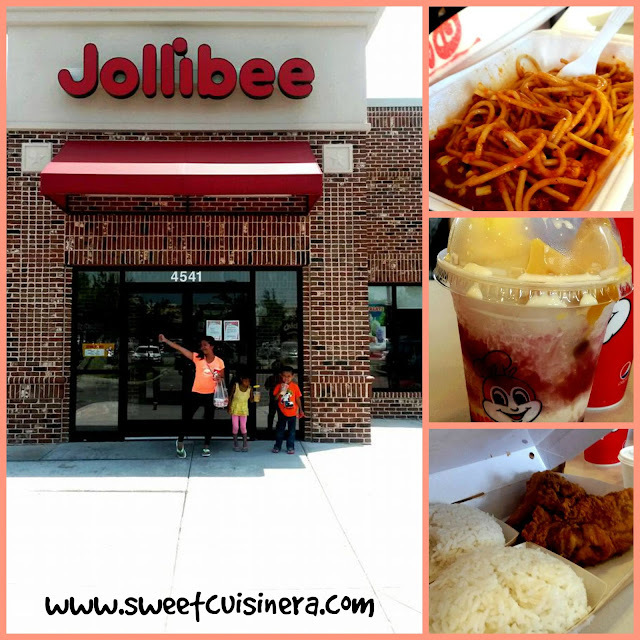 Saturday- Virginia Beach, Jollibee Experience! Jollibee is a famous fast food in the Philippines kinda like Mcdonald's here in the US. So, We stopped by for lunch before heading home. I was totally impressed with whole experience. It just feel like I'm in the Philippines! the crowd, the food and the feeling!! Wohoo! It feel great to have Chickenjoy meal, Halo-Halo and Spaghetti after 3 years! LOVE! LOVE Jollibee!! And that's how I spent my amazing summer vacation! Truly an experience to remember forever! 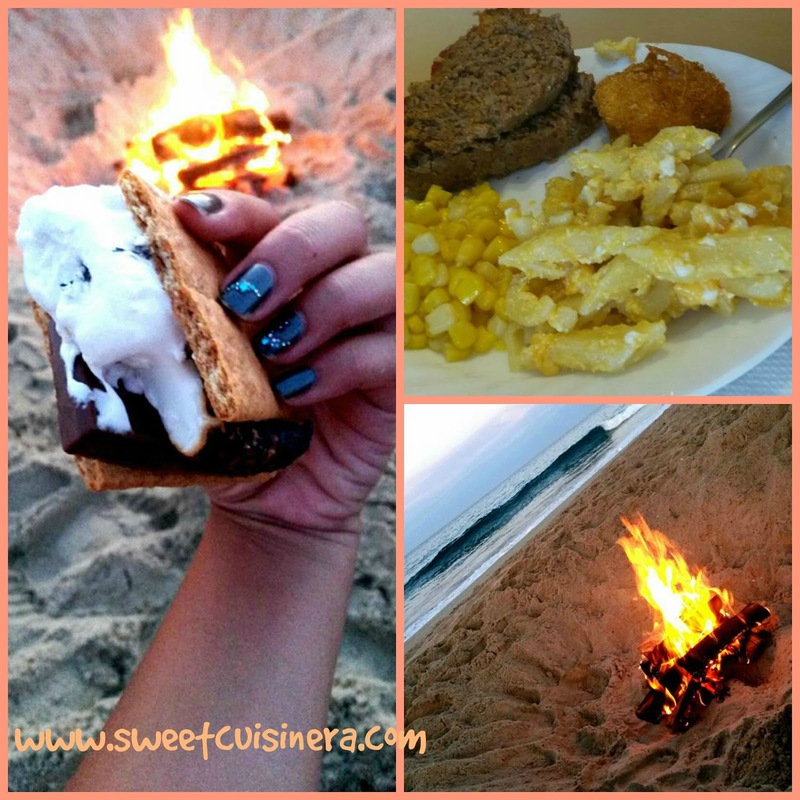 Share me your thoughts and fun escapades this summer or even your latest recipes experience on the comment below. Stay pretty and gorgeous everyone! Enjoy the rest of the day and I'll see you in few days for more delicious and fun foodie adventures and recipes. 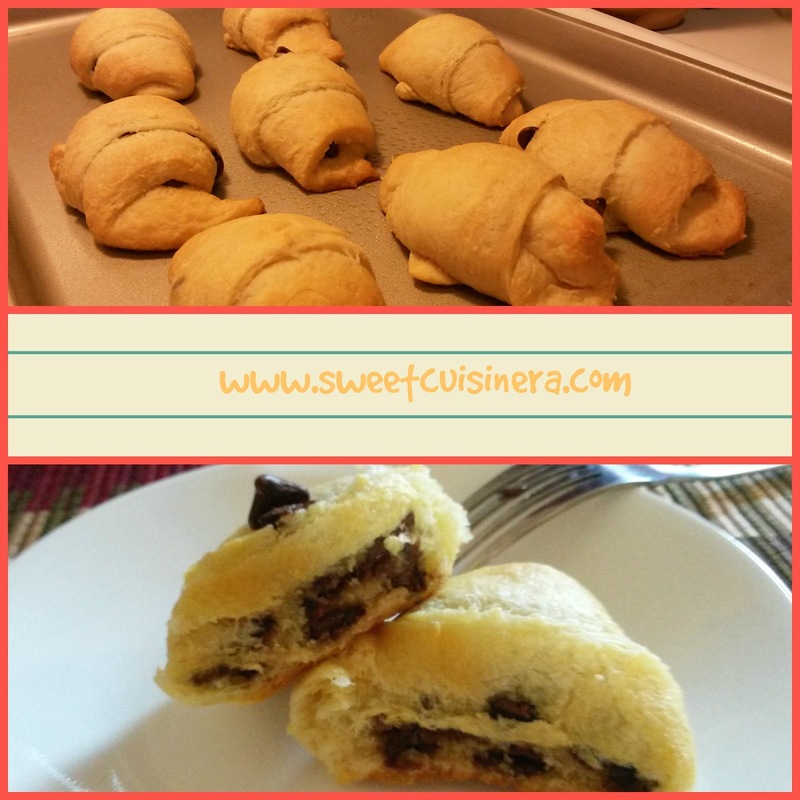 Anyways, I'm really excited to share with you my latest favorite dessert the Chocolate- Filled Crescents. Yum! It's super easy, fast and delicious dessert that surely your family and friends will loved. I personally loved this recipe, its simple yet so delicious! It's number one dessert requested in my household right now. Indeed my kids loved some chocolate-filled crescents. I can't wait to make more of this scrumptious dessert soon. Yummo! I got the original recipe from Allrecipes.com and made my own version which I'll be sharing here on my blog. Let's get this excitement going! Come on join me as we make this super easy and delicious dessert. 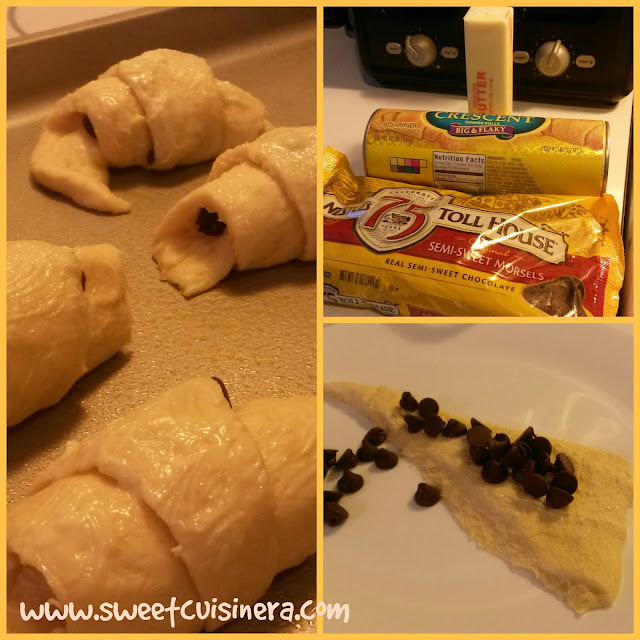 Note: This recipe makes 8 chocolate filled crescents. You can sprinkle powdered sugar at the end if desired. Double or triple the recipe for larger crowd. Enjoy! 1 cup chocolate chips- used any chocolate chip you have on hand. 1. Heat the oven into 350 degrees Fahrenheit. Separate the crescents rolls dough into 8 triangles. 2. Spray the cookie sheet with non-stick cooking spray and set aside. 3. Place tablespoon of chocolate chip on wide end of each triangle. Roll up the crescents dough, rolling into the opposite side. Place on greased cookie sheet. 4. Brush the chocolate-filled crescents dough with melted butter this is totally optional. 5. Bake at 350 for 15-20 minutes or until golden brown. You can sprinkle with powdered sugar if desired. Sweet yummy dessert overload! I can't get over how good this recipe.Yum! If your looking for super easy, fast and delicious desserts. 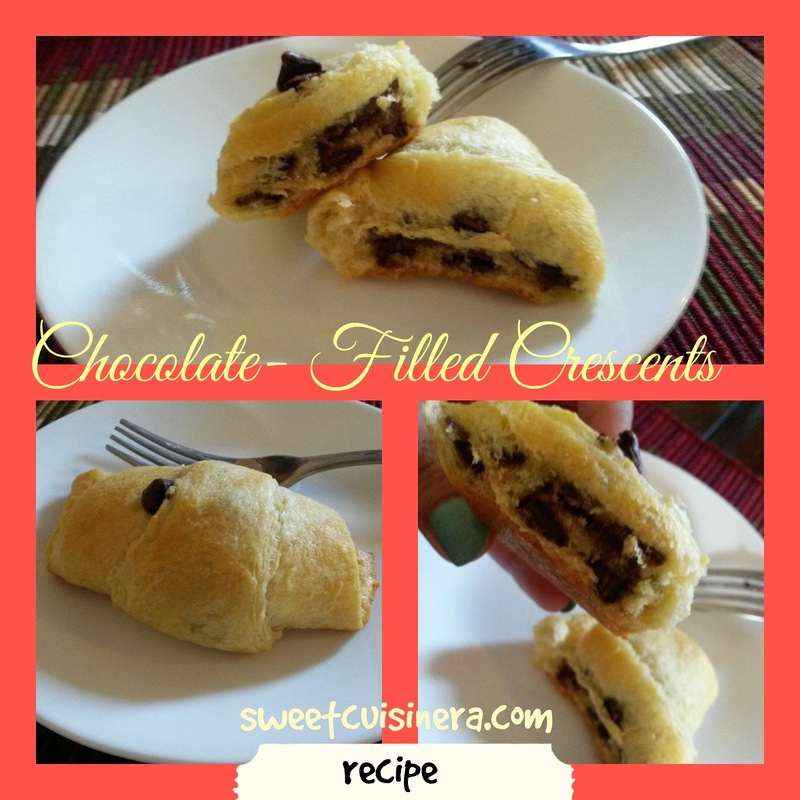 Give this chocolate-filled crescents a TRY. I'll promise you, this dessert is truly a keeper. Simply delicious! have I told you how many rolls I had? (Shhhh, I'm down to my third one now hahaha so good!) Anyways, As I mention earlier. I'll be away for a week but I'm still going to check my blog while I'm there. So keep those comments coming and let me know how this dessert work out for you. 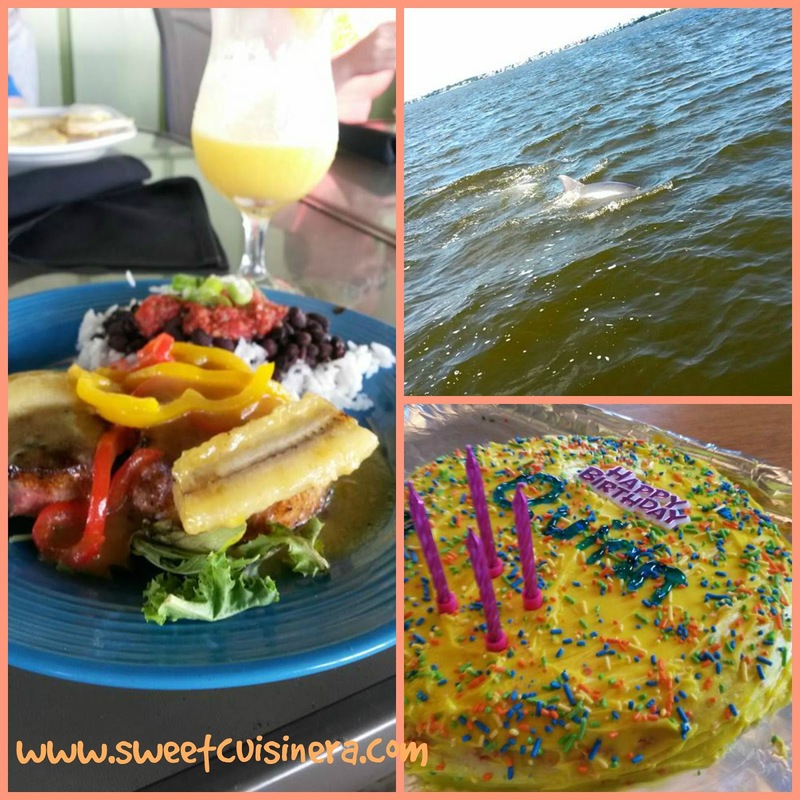 Don't forget to visit my two blogs sweetcuisinera for your everyday recipe inspirations, or even DIY and product reviews at wish4less. I'll see you when I get back. Enjoy the rest of the day and always stay gorgeous. Bumble Bee Prime Fillet Albacore Tuna- Yum! Wohooo! Can you believe that its July already? I can't! but I'm excited what this month could bring! Are you excited aswell? Anyways, If your a big fan of seafood as much as I do. 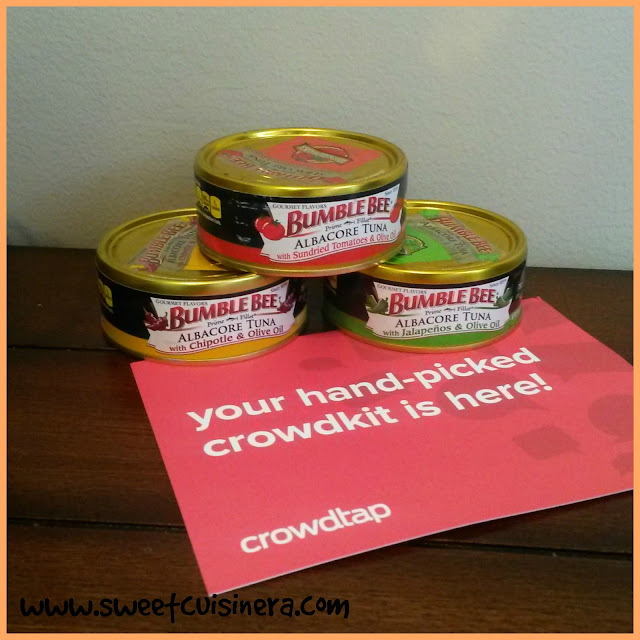 Then, you'll be excited with my latest Sample and Share from Crowdtap- Yep! 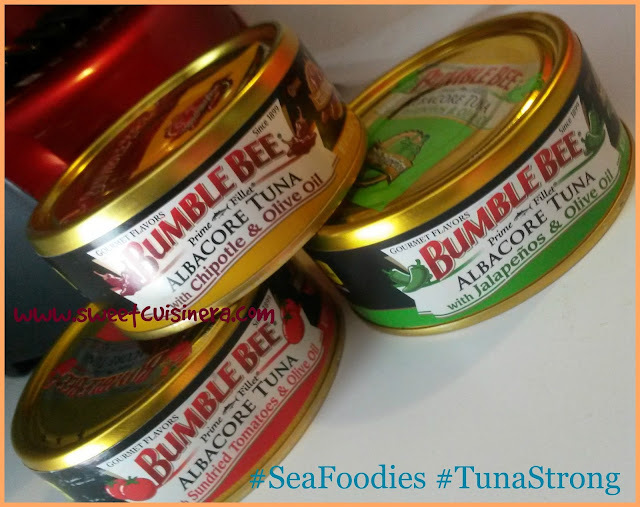 Another awesome freebies courtesy from Bumble Bee #TunaStrong and Crowdtap. I feel so grateful to sample Bumble Bee Prime Fillet Albacore Tuna. It's simply delicious! Crowdtap packed their sample and share really nice and they also provide a tracking on every sample and share they have. So awesome and perfect! Are you excited what's inside of my Bumble Bee Kit? 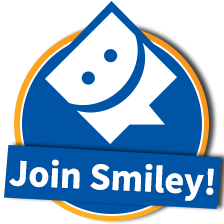 Come Let's take a look! 1 Kit featuring Bumble Bee® Prime Fillet® Albacore Tuna in Sundried Tomatoes & Olive Oil, Chipotle & Olive Oil, and Jalapenos & Olive Oil flavors. So far, I tried the Bumble Bee Prime Fillet Gourmet Flavor Sundried Tomatoes & Olive Oil. It smells good, taste fantastic and it has chunky tuna which I really loved. I had Tuna and Rice yesterday and oh my--its delicious! Super easy to prepare. 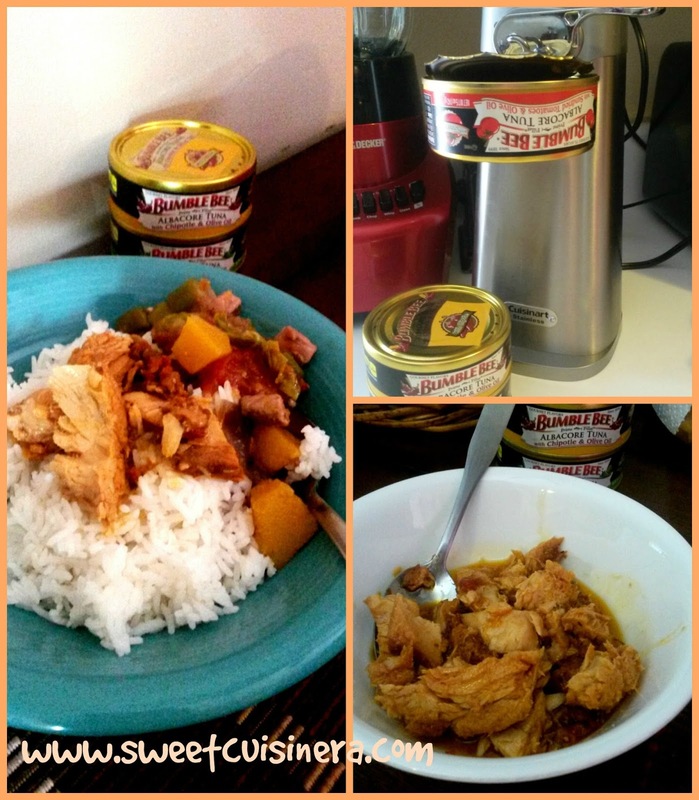 I just opened a can of Bumble Bee Tuna, heat it up in the microwave and pour it on the top of steamy white rice. So delicious! I also plan to make Bumble Bee Tuna Sandwich and Bumble Bee Tuna and green salad. Yum! I'll promise you they have mouth watering recipes that would impress your taste bud. I hope this inspire you to be #TunaStrong this summer. I'll see you in few days for more awesome and fantastic recipes. Stay gorgeous everyone!